Government First Grade College, Vemagal is striving to be at fore-front college in education and research. Therefore, it has envisaged enhancing the quality and increasing the enrolment of students of graduate programmes. Education for rural students, backward, minority and women empowerment is a major thrust area in the current climate. Government First Grade College, Vemgal in its institutional development proposal for the next five years focuses on improving the academic success of the students, increasing learning outcomes and thus, employability. It is envisaged to make the institute more effective through strengthening of existing infrastructure and improvising quality of human resource. Introduction of more job oriented courses will attract young people particularly the sections of the public who find it difficult to access higher education. Use of information technology in various academic and administrative activities will optimize the institutional operating efficiency. 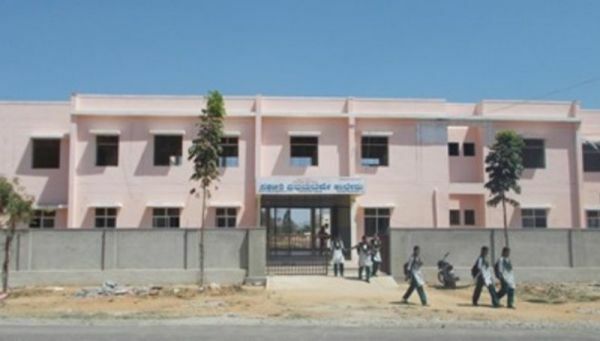 Government First Grade College, Vemagal, Kolar district was started in the year 2007 with three courses namely BA (HEP/S), B.Com & BBM. The present student strength of the college is 496. Many of the alumni of the college have got into the domains of HR, Academics, Public sectors and Corporate Management. Also a few are placed in banks, industrial establishments and a host of other services sectors. College has 09 departments including physical education. Students have represented at university level and state level in various sports and games. Student of NSS unit of the college has represented in the pre-RD selections during the year 2012. Student progression ratio is very encouraging. Gender inclusion is promising. Many female students have performed excellently in academics as well as co-curriculum and extension activities. “Hombelaku” A college magazine has been released containing the extraordinary achievement of the students in curriculum and co-curriculum activities. The college is very vibrant in its gesture, interactive with the local community.